In 2018, we saw workers bravely and impressively organize and stand up totheir leaders and decisionmakers, calling for change. 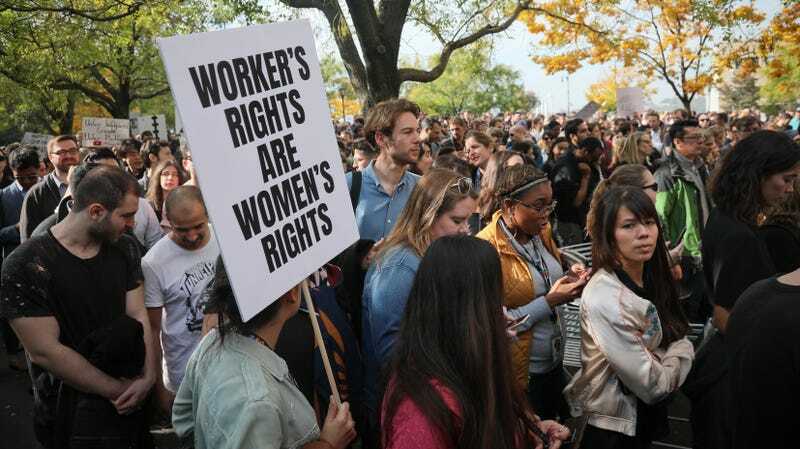 Activism among tech employees hit a dramatic climax in early November, when thousands of Google workers held what may be the largest collective tech demonstration to date, issuing a number of demands, including an end to forced arbitration agreements. Now, a campaign that kicks off this week aims to eradicate those agreements across the tech industry. Forced arbitration requires a worker to settle a dispute privately behind closed doors rather than in a public trial. This practice, which is not uncommonacross the tech industry and only recently saw any slight changes due to mounting public pressure, is a powerful mechanism employers can use to keep internal issues under wraps. Google Maps: Mysterious French facility hidden by Google - why is it being kept secret?